Martin Allais Makes Oreo Wonderfilled. Oreo has a new series of ads that have been burning up the internet, and TV for the last few weeks. If you haven’t sen them, they are posted below including the 90 second extended web spot of “Anthem” produced by illustrator Martin Allais and producer Maria Soler Chopo. Animation was done by by his Allais’ animation shop, Studio Animal. 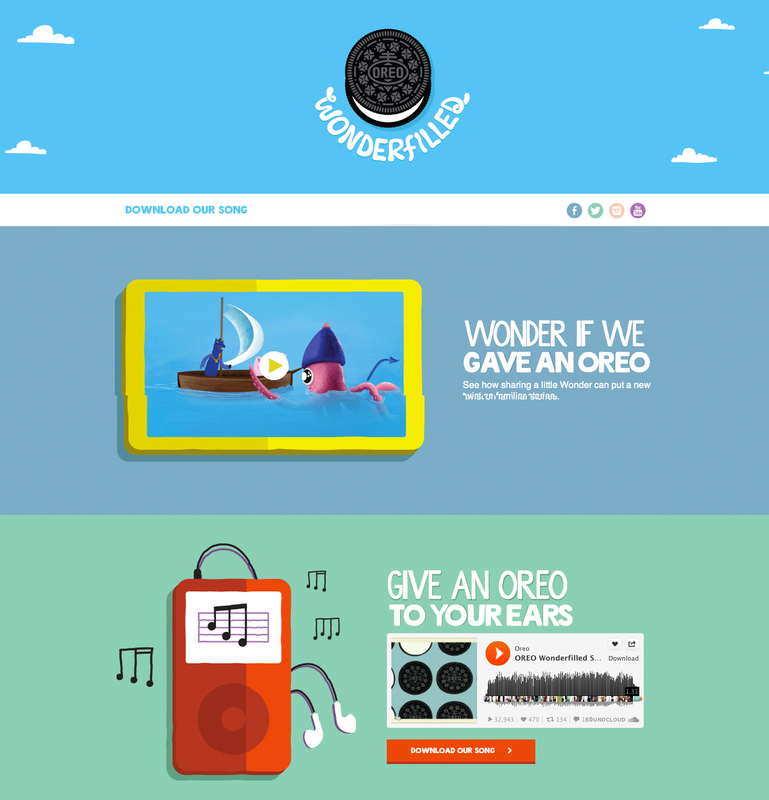 “Wonderfilled”, is an advertising campaign that presentis the Oreo cookie as a currency of good will. In the spots the Oreo cookie is passed between the big bad wolf, and the three little pigs, Dracula, and other folklore icons while asking the question wouldn’t the world be a better place if we all shared Oreo cookies. In addition to the TV spots there is an integrated online component at a oreo.com/wonderfilled, that includes a downloadable music track by Owl City, along with 30 second and 90 second versions of the animated TV spot “Anthem”. In addition Oreo promoted the campaign by having Owl City and other performers take to the streets of New York City to help everyone have a better morning commute. 3D character animator and 2D cel animator Andy Lyon. 3D modeling/surfacing lead Juan Carlos Cuadra. 3D character animation team James Lane, James Parris, Ian Mankowski, 3D rigger Ian Mankowski, 3D modelling/rendering team George Longo, Juan Carlos Cuarda, Ian Mankowski, John W. Nguyen, 3D animators Orlando Costa and Kevin Tonkin, 2D cel animator Anthony Madlangbayan, storyboard artists Scott Richie and Brian Koons, compositors Mike Humphries, Renzo Reyes, John W. Nguyen, head of producetion Danielle Hazan, producer Jamey Kitchens. Posted in Advertising, Animation, Video and Motion Graphics and tagged 3D animation, Advertising, Animation, Integrated Advertising, Maria Soler Chopo, Martin Allais, Oreo, Studio Animal, Wonderfilled on May 23, 2013 by Author. “Whatevers Comfortable” with Southern Comfort. I guess this dropped about 2 months ago. I’ve never seen an edited 30 on any cable channel, and just happened to stumble across the web version last night while looking at something on adland.tv. None the less this is why I love Wieden and Kennedy. This guy is Dos Equis “The most interesting man in the world” wing man. Strutting up the beach in an almost speedo, wearing leather shoes and Ray-Bans this guy is a dude. he is not a follower. He’s the dude doing “Whatevers Comfortable” with great attitude. Set to Odetta’s “Hit or Miss” the one minute forty five second web version of this is great. Posted in Advertising, Video and Motion Graphics and tagged Commercial, Dos Equis, Ian Reichenthal, Integrated Advertising, Scott Vitrone, Southern Comfort, Tim Godsall, TV Commercial, Web Commercial, Wieden+Kennedy on November 16, 2012 by Author. As smartphone use continues to grow, there is a growing trend where people actually use their phone while watching TV to look up information about what they are watching. The smartphone app Shazam has known this for sometime allowing users in the US to tag TV spots for extended online content. Last month, Shazam in conjunction with Ireland-based Adforce launched Shazam for TV in Ireland which began airing on November 5th. Adforce and Shazam have created a new app for Volvo promoting its new V40 vehicle that is viewable when the TV spot is tagged by Shazam. The smartphone ad offers viewers a deeper form of engagement with the brand experience. When potential customers that tag the advert with Shazam, they will be directed to offers ranging from test drives, to a chance to win an iPad mini, or additional information on the vehicle. Volvo Ireland is the first brand to engage Shazam directly with a dedicated smartphone experience, but expect this to become a growing trend both in Europe and the US. This is a way of getting customers interacting with the brand and product on a different level, and it adds an added dimension to standard advertising. As the convergence between TV and other connected devices becomes more refined, this kind of advertising will continue to grow and become more sophisticated. Posted in Advertising, iPhone Apps, Smartphones, Technology and tagged Adforce, Android, Branding, Connected Advertising, Integrated Advertising, iPhone, Shazam, Smartphone, Volvo, Volvo V40 on November 7, 2012 by Author. Here’s a little shout out to a local agency that went international a few years back. The spot below was created by VML Australia. If you are familiar with VML you might recall they started out right here in Kansas City, MO before being bought buy a big interntional holding company and going world wide. The spot featured in the video below represents the launch of a multi-million dollar outdoor media buy to integrate the outdoor campaign with the digital campaign for Jameson. The Blippar campaign takes a Jameson bottle and turns it into a game that is playable on any smartphone. The application is powered by image recognition software leveraging augmented reality to create palyable billboards, posters, banner ads, bottles, etc. All of this is linked to the standard social media hooks allowing for a viral spread of campaign. Posted in Advertising, iPhone Apps, Smartphones, Technology and tagged Android, Augmented Reality, Austraiia, Game Design, Image Recognition, Integrated Advertising, iPhone, Jameson, Smartphone, Social Gaming, Social Networking, VML, VML Australia on October 25, 2012 by Author. CP+B get Creative With QR Codes for Scandinavian Airlines. One of my biggest gripes about QR codes used as an advertising vehicle has little to do with their effectiveness (although I do have doubts about how effective they are in the long term). One of my biggest gripes has to do with the lack of creativity that goes into the global experience that surrounds them. Especially the most important portion which happens after the scan takes place. That overall lack of creative design is what leads to most call to action failures when it comes to QR codes, or NFC based campaigns as well. A great example of where the post scan action is extremely creative, and effective is CP+B‘s “Couple Up to Buckle Up” campaign for Scandinavian Airlines. The campaign uses two unique QR codes across every touch point, from email to Facebook, print, to direct mail etc. that leverages how couples commonly book trips. The campaign works like this, couples each scan a unique QR code which displays half of a video offer. In order to get the offer to work, both smartphones have to be connected to get the entire promotion. 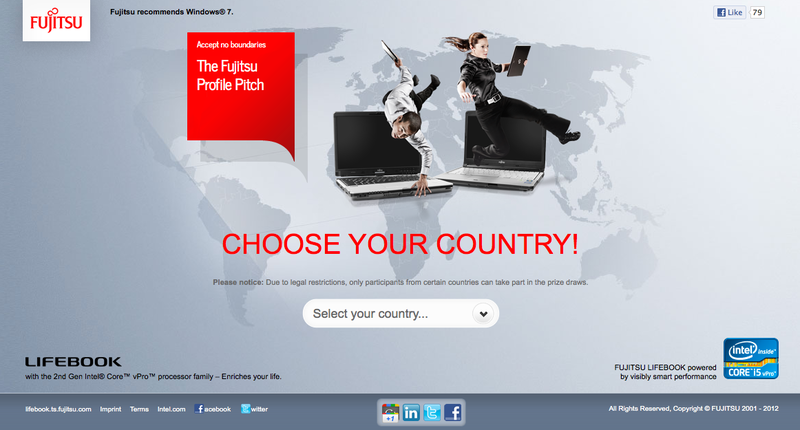 Simple yet effective game play that helps extend the offer and build the brand in a fun and memorable way. Posted in Advertising, Smartphones, Technology and tagged CP+B, Integrated Advertising, QR Codes, Scandinavian Airlines, Smartphones on January 16, 2012 by Author.